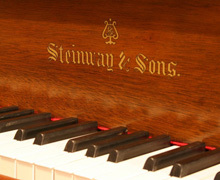 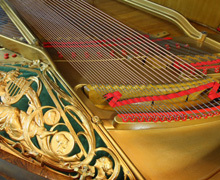 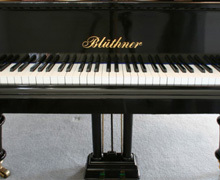 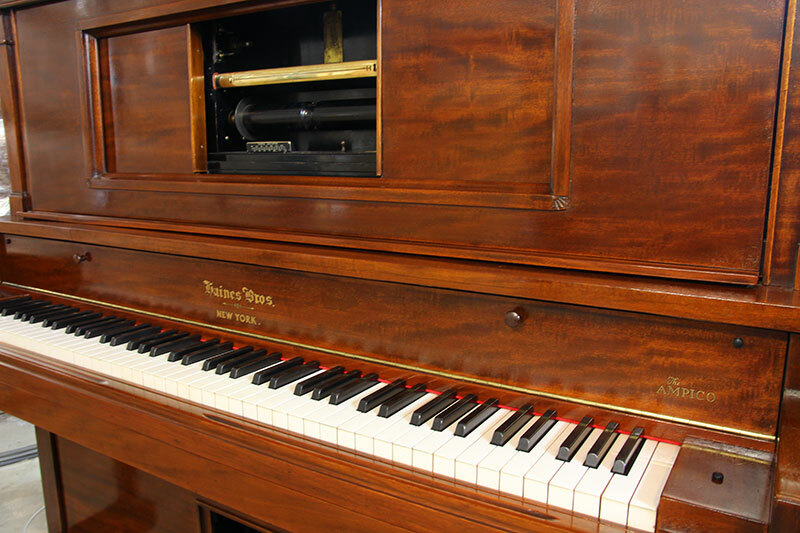 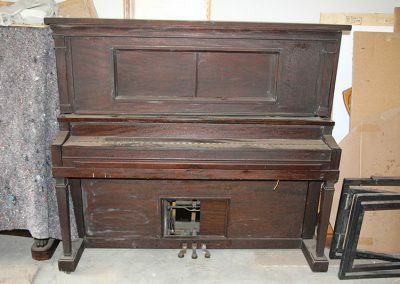 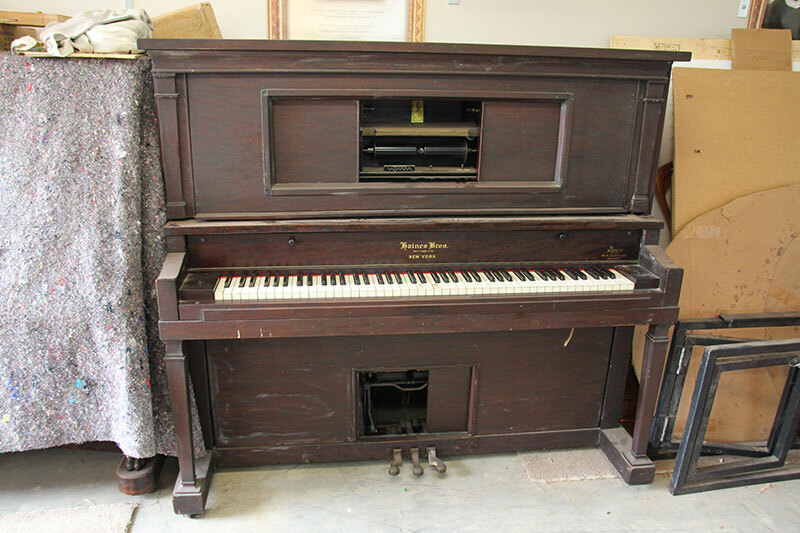 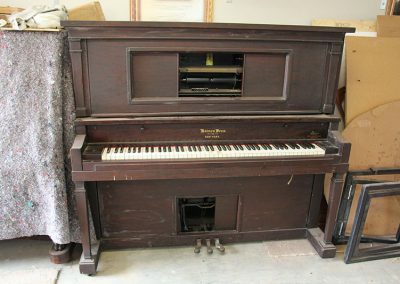 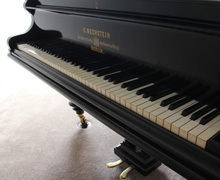 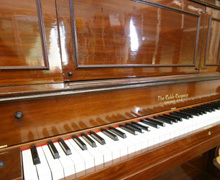 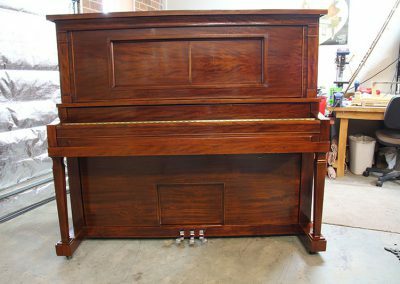 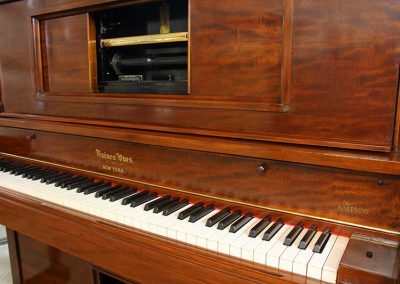 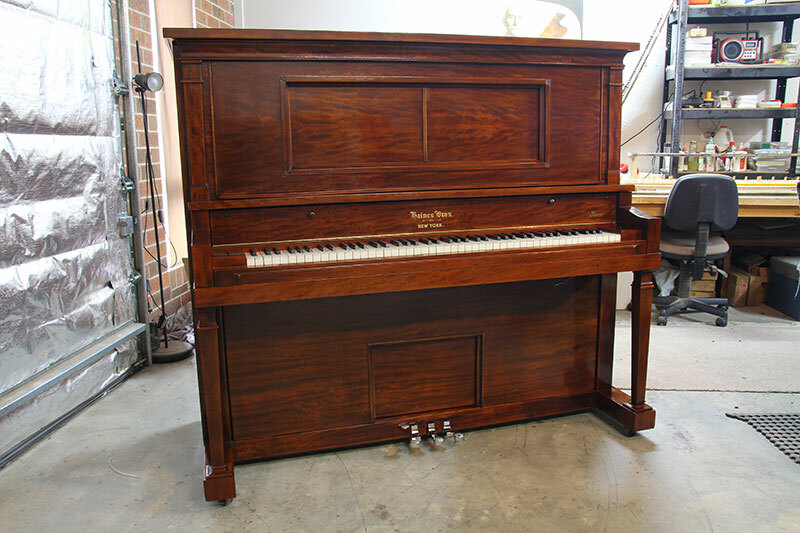 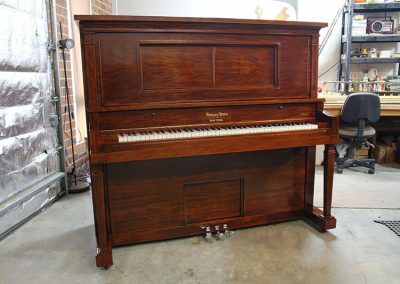 This American made Haines was built in the late 1920’s when Player Pianos/Pianolas were the must have item in all households. 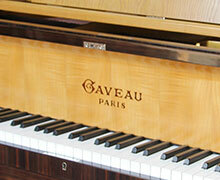 The original Ampico Player action was meticulously rebuilt and it now plays like it did over 80 years ago! 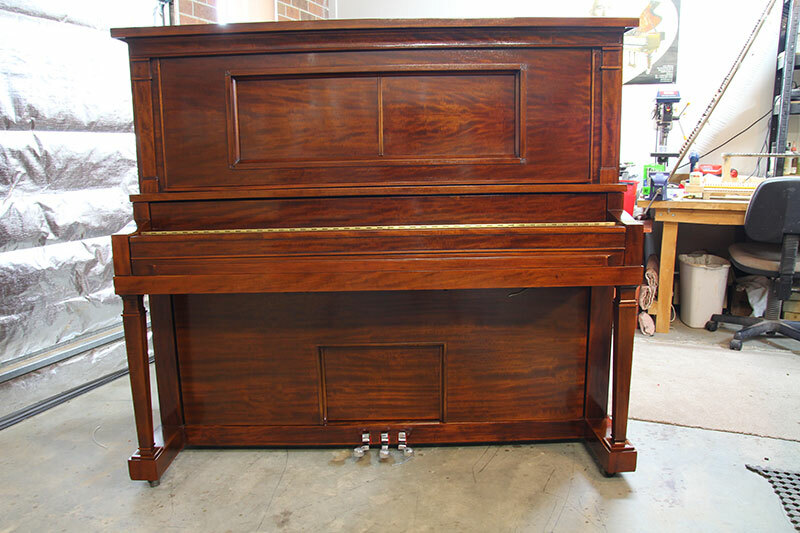 It was French Polished in Walnut.